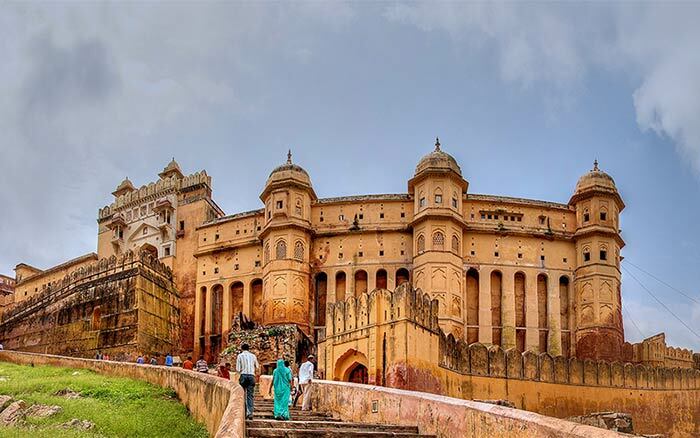 Well known as the land of bravery and romance, Rajasthan is one of the good options for honeymoon in India. The presence of splendid palaces, magnificent forts and luxurious resorts can add charm to your honeymoon while allowing you to spend quality time with your life partner. Located away from the hustle and bustle of the urban life, the Tree House Resort in Jaipur puts you in the lap of nature where you can spend intimate moments with your life partner. It offers a myriad of facilities to the guests to assure a complete luxurious experience. The Pushkar Bagh Resort offers luxurious accommodation to cater the needs of the guests. Swimming pool, folk dance, multi cuisine restaurant, indoor sports, outdoor sports, mock wedding, candle light dinner are some of the facilities that you can enjoy here. Set amid sparkling water bodies and lush green lawns, Rajputana Resort in Udaipur is a perfect place for the honeymooners to relax. The modern amenities and great facilities offered by this resort make it ideal choice for the honeymooners and leisure travelers. Cost: Honeymoon package starts from Rs. 15,000. The package includes accommodation in luxury villas for 2 nights and 3 days, complimentary cake on arrival, city tour and complimentary sparkling wine. The Shiv Vilas Resort located on the Delhi-Jaipur highway and set amidst beautiful gardens provides a pleasant and royal experience to the honeymooners. 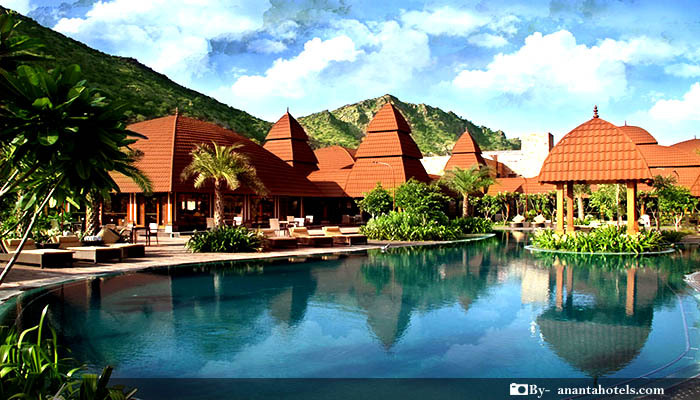 So commence the journey of your everlasting love at this luxury resort in Jaipur. Nestled among the rolling Aravali hills, the Tree of Life Resort & Spa offers you luxurious stay coupled with beauty, style and unmatched service. The Oberoi Vanyvilas Resort offers a unique opportunity to the honeymooners to relax and rejuvenate in the tranquil surroundings of Ranthambore National Park. Its beautifully landscaped gardens, reflection pools and elegant interiors create an intimate and soothing ambience for the honeymooners. Manvar Desert resort is an oasis located on Jodhpur-Jaisalmer route. It offers an ethnic resort experience to the honeymooners with Thar Desert backdrop. Facilities include camel and jeep safari, swimming pool, massage rooms, wild life trips and much more. 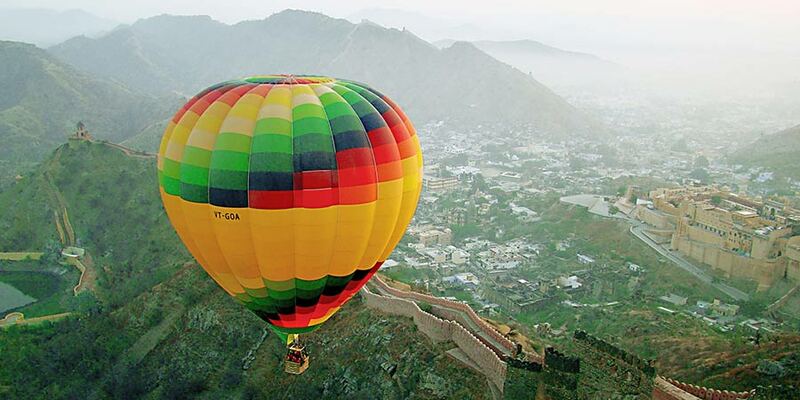 Apart from being the part of leisure travel, Rajasthan is also a hub of romantic resorts which can be used for luxurious honeymoon stays.Not only does the resort break away from the hustle bustle of the urban life and puts you in the lap of nature, if also offers a myriad of facilities to assure a complete experience for our guests.